Slovenia lies at the heart of Europe, where the Alps and the Mediterranean landscapes meet the Karst and the Pannonian plains. It takes an hour or two of driving to get from the capital city of Ljubljana to either high mountains, the coastline, the Pannonian plains or the Soča, which is one of the most beautiful European rivers. Slovenia has become the world’s first country to be declared a green destination based on the international Green Destinations criteria. Furthermore, the country boasts the title of the European Region of Gastronomy and has nine wine-growing regions. The Slovenia Top Sights bike tour is designed for those who like exploring the natural sites and attractions by bike, while also enjoying the local cuisine, home-grown wine and a pleasant atmosphere. 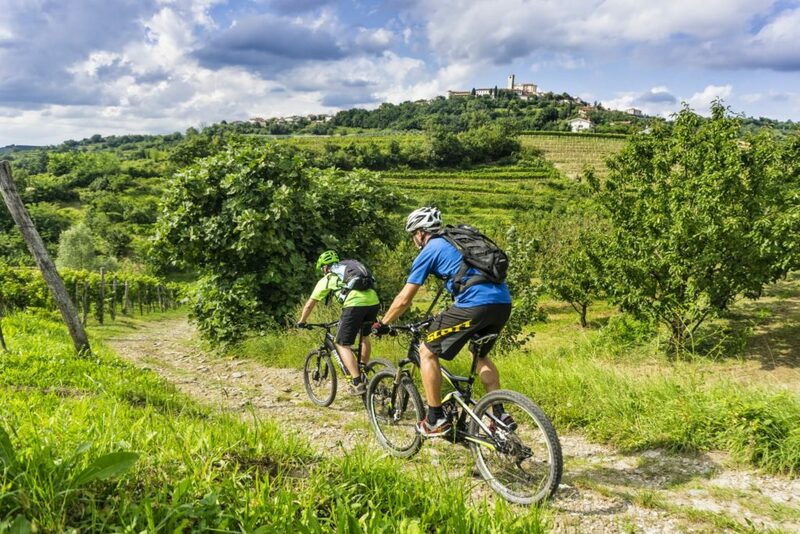 Majority of the largest Slovenian tourist attractions located in very diverse environments, which, despite the pleasantly undemanding daily tours offer great biking enjoyment, are packed in just one week. 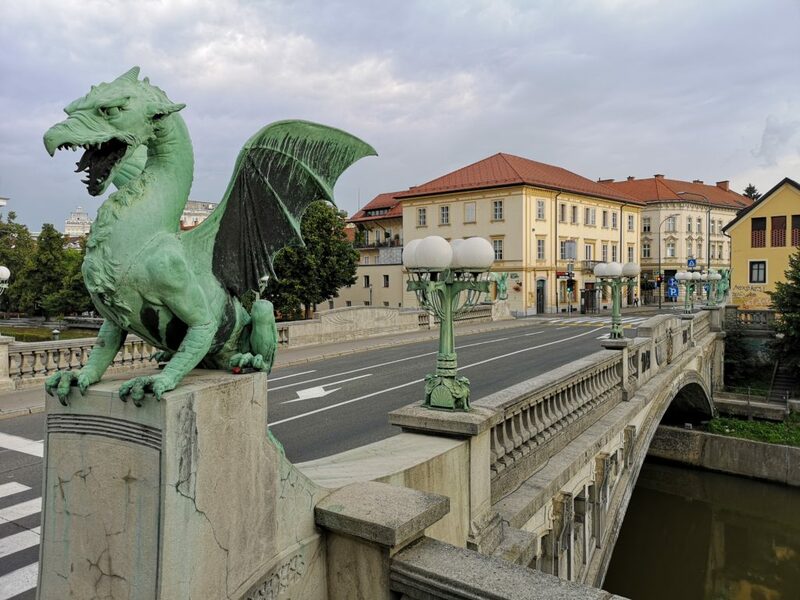 The capital city of Ljubljana is one of the greenest as well as the most vibrant and popular European capitals, and a full day is dedicated to exploring this lovely city. Many visitors to Slovenia say they have never seen a lake more beautiful than Bled – until they see Lake Bohinj, the largest natural lake in Slovenia, which is located in a glacial valley just 26 km southwest from Bled. The programme includes the tour around both of the two lakes, while there is also plenty of time available to visit the panoramic mountains for those who would like to enjoy the scenic views. The group arrives to the Soča Valley, the European Destination of Excellence, by train on one of the most beautiful European railway lines, which runs through as many as 28 tunnels. From the high mountain and the emerald Soča, it takes only a few short hours of biking to reach a completely different landscape, i.e. Goriška Brda, which is reminiscent of Tuscany. The villages scattered across the hills above the Italian Friuli region are virtually packed with top winemakers! The tour then turns back towards the inland, to the city of Postojna, most famous by the Postojna Cave, which is the most appealing and the largest tourist cave in Europe. The cave has its equally interesting counterpart only a few kilometres away, where more than 800 years old impregnable Predjama Castle once owned by knight Erasmus of Lueg is built into a 123-metre cliff. Next on the list is Castle Socerb, overseeing the Gulf of Trieste for centuries and offering fantastic scenic views. After the descent to the Italian town of Muggia, the trail leads over the hills of Slovenian Istria to the harbour city of Koper and then follows the Parenzana railway track, a now defunct narrow gauge railway. Passing through some tunnels on the way, the tour finally reaches the city of Piran, which, according to Lonely Planet, is a small slice of Venice in Slovenia, and its Old Town, which is one of the best-preserved historical towns anywhere on the Adriatic, is a gem of the Venetian Gothic architecture. The beautiful and undemanding daily tours leave enough time for other activities that each place has to offer (i.e. the cable car ascent to the Vogel hill, a visit to the medieval village of Šmartno etc., Visits to the main tourist attractions such as the Bled Castle and the Postojna Cave are included in the tour. 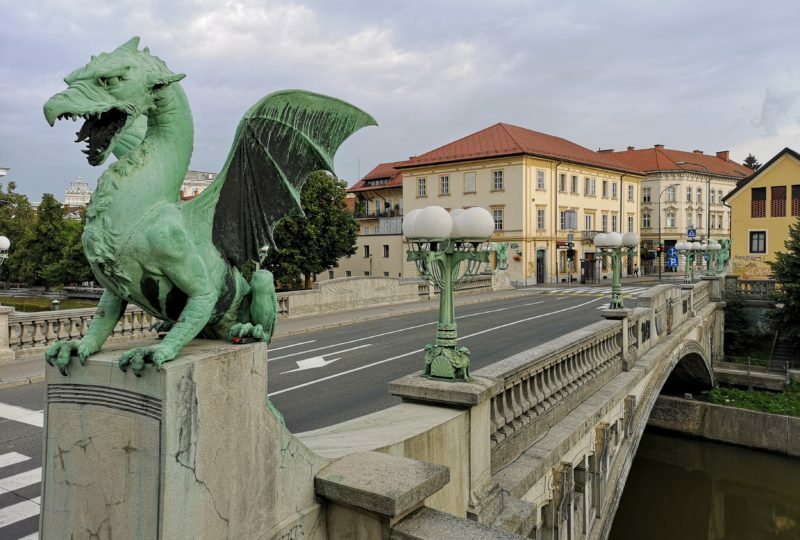 The group gathers and spends a night in the Slovenian capital of Ljubljana, where an introductory meeting is held to present details of the tour before the departure and a visit to the Ljubljana castle is planned. The second day includes biking along the route of one of our daily tours, i.e. The Ljubljana Parks Photo Tour. The bike route leading along the attractions and parks in Ljubljana was designed for those Ljubljana visitors who would like to see slightly more than a set of usual sights in the city centre and who are in search for new photo images or just fond of the extraordinary atmosphere offered by parks. Besides parks, the undemanding route leads along plenty of historical and architectural points of interest. It takes two to three hours of easy cycling to get to know a completely different Ljubljana where one can take time to enjoy the entire day in the company of locals at their favourite scenic points and recreation trails. Half a day is available for other activities, whereby besides visiting the city or simply soaking up its atmosphere, participants can opt for a boat ride along the Ljubljanica river, visit numerous museums and galleries or try out the culinary offer. After breakfast, the group is transferred by shuttle to Lake Bled. 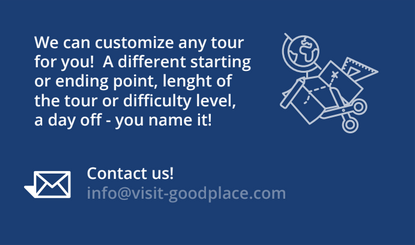 Its beautiful features are packed in a relatively small area so that the visitors are able to select their own way to view the sights after a guided tour to the oldest castle in Slovenia. A beautiful view can be enjoyed from the castle, which is perched above the lake like an eagle’s nest. 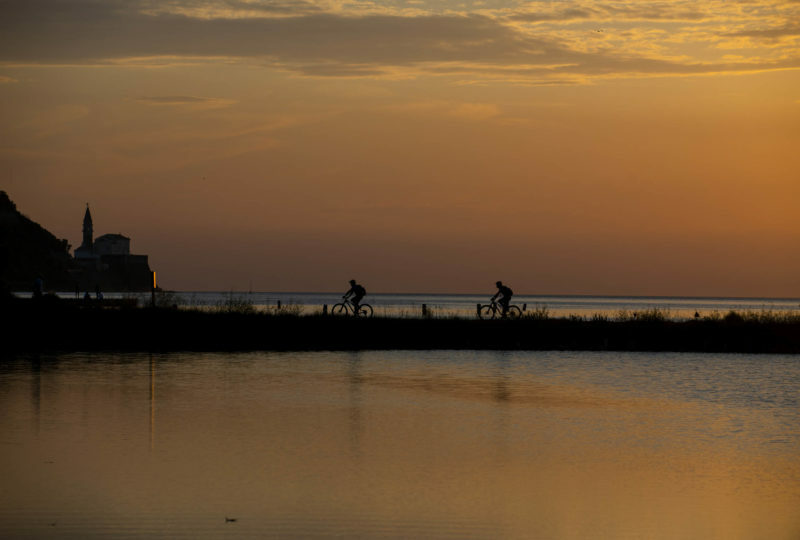 One can go around the lake by bike or on foot, or they can take the road which is closed to traffic and which leads from one end of the lake to the other. The boat ride to the famous island with a church takes just a few minutes, whereby a regular boat rental service is available besides rides in the famous Bled boats known as “pletnas”. The small hill of Mala Osojnica, which can be climbed in 15 minutes, offers an excellent view over the lake and the island, albeit the last part of the ascent is rather steep, while the view over the lake can also be enjoyed from the hotel opposite the railway station. Regardless of the selection, the tour participants are certainly recommended to stop by one of the restaurants offering the delicious Bled cream cake. Many visitors to Slovenia say they have never seen a lake more beautiful than Bled – until they see Lake Bohinj, the largest natural lake in Slovenia, which is located in a glacial valley just 26 km southwest from Bled. After the group is transferred from Bled to Bohinj, the participants can opt for biking to the Ukanc village, which is found on other side of the lake. 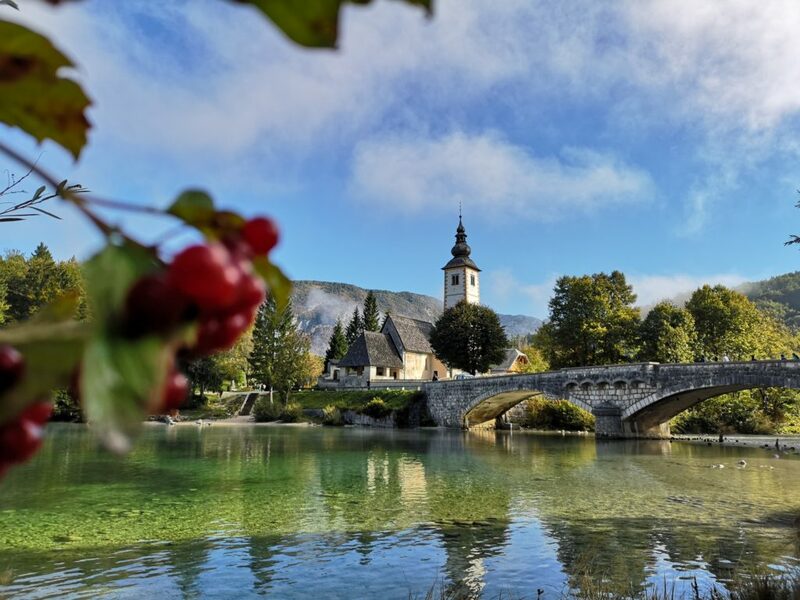 The legend says that the village was named after the “u konc” exclamation, which roughly translates from Slovenian as “at the end”, because the foot of the mountain rising above the lake was once thought to be the end of the world. From there, it takes just a few minutes over a staircase of 553 steps to reach the Savica Waterfall. There is also enough time for the tour participants to take a cable car to the Vogel Alpine ski resort. Not to mention the Vogel itself, the cable car ride alone offers fantastic views over the lake and the surrounding mountains. There is also a number of other activities available, such as supping, kayaking, climbing, zip-lining and horse riding, and one can also indulge in wellness services. 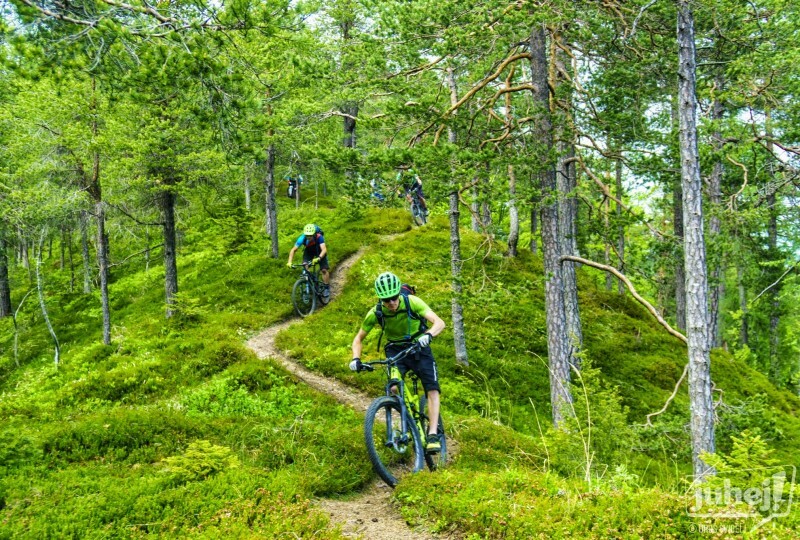 The biking part of the day is spent on the circular biking route leading from Ribčev Laz along the Sava River to Bohinjska Bistrica, and then back through the upper Bohinj valley all the way to the lake. A pleasant bike trail is a perfect way to enjoy the beautiful features of the valley below the high mountains, whereby old but well preserved villages in the upper Bohinj valley tell a story about the ancient way of life, the cultivation of fields and also about the old-style architecture. The relatively short tour, again, leaves enough free time to enjoy the above-mentioned activities. The day starts with a transfer to Bohinjska Bistrica, where the group boards the train to the village of Plave in the Soča valley. This is no ordinary train. It operates on the most beautiful railway in Slovenia and the wider area. Built by Austria-Hungary from 1900 to 1906 as part of a then new strategic railway called the Neue Alpenbahnen in German, the Bohinj railway connected western Austria and southern Germany with the then Austro-Hungarian port of Trieste. It runs through no less than 28 tunnels, 5 galleries, and over 65 bridges. As a part of the Path of Peace leading from the Alps to the Adriatic, the Bohinj railway and its World War I Heritage have been placed on the tentative UNESCO World Heritage List. A themed biking path runs from Plave along the Soča river. Biking along the Soča River is a special experience. Flowing under the majestic peaks of the Julian Alps with the distinct emerald green colour of water, the Soča is considered one of the most beautiful European rivers. The path leads through Nova Gorica in Slovenia to Gorizia in Italy and then back to Slovenia, to the village of Medana in Goriška Brda. With the land of gentle, rolling hills covered in orchards and vineyards and dotted with small, secluded villages, the region of Goriška Brda reminds of Tuscany. The wine growers here are famous all over the world for their high quality wine and hospitality, and a wine connoisseur would recognise many of the names signposted along the road, while biking across the beautiful hills. Needless to say, wine tasting is inevitable here and as far as food is concerned – well, the hills overlook Italy. The group will then spend the night in Medana, so that they can enjoy a quiet dinner and also wine tasting before, during or after the meal. Each village is home to at least one superior winemaker offering wine tastings, and while the themed walking paths and the open air museum at the top of the Sabotin hill are well worth visiting, a tour of the medieval village of Šmartno is almost mandatory. Breakfast is followed by a transfer to Postojna, a city and administrative centre located in the area which serves as the least steep passage towards the Slovenian inland on the one side, and to Karst and the coast on the other. From the village of Grobišče, the circular bike path runs through Postojna, to the Postojna Cave, which is the most appealing and the largest tourist cave in Europe. A visit to the magical, 24-km cave system by train is a truly special experience and therefore strongly recommended. 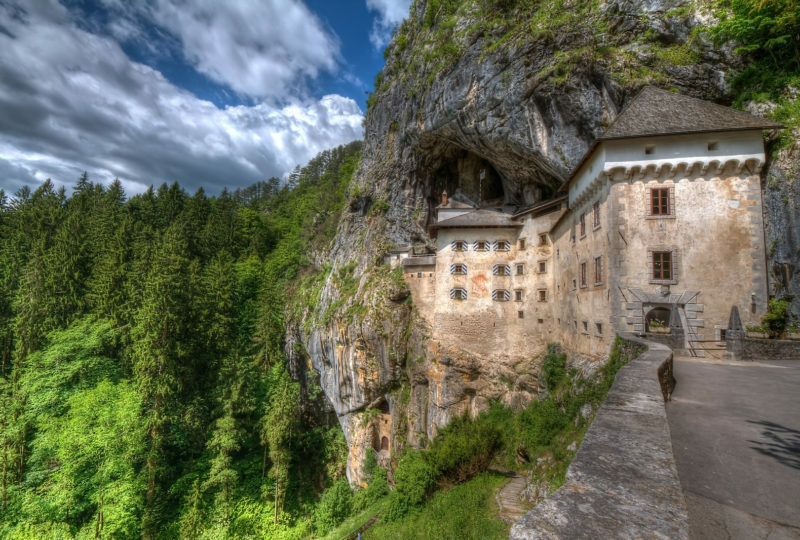 A visit to the magical underworld is followed by a visit to a man-made miracle – a more than 800 years old impregnable Predjama castle that was built into a 123-metre cliff. As the matter of fact the castle stands in a cave. The largest cave castle in the world hides behind it a maze of tunnels from which knight Erasmus of Lueg would often embark on his robbing sprees. Through the village of Hruševje, the route returns to the starting point in Grobišče. 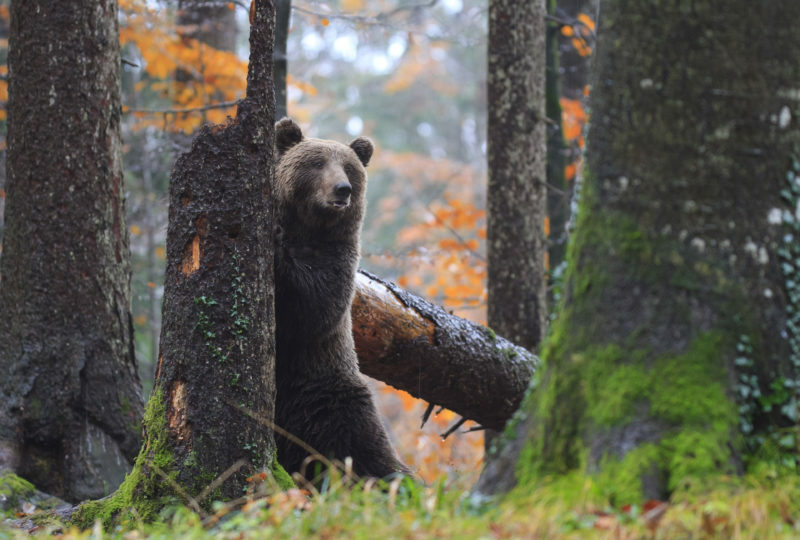 In the evening, bear watching can be arranged from special observatories. After the morning transfer, the biking starts at the Socerb castle. It overlooks the Gulf of Trieste, offering some spectacular views. This is the western edge of the Karst plateau, which is known as the Karst rim. What follows is a descent towards Trieste, Istria. Istria is the largest peninsula in the Adriatic Sea, located at the head of the Adriatic between the Gulf of Trieste and the Kvarner Gulf. Its territory is shared by three countries – Croatia, Slovenia, and Italy. Istria is indeed a feast for the eyes. Its streams flow to the sea through deep valleys and gullies, which bring to mind the ancient local myths about giants. The rolling hills with small towns perched on their peaks overlooking fields and valleys remind of vintage paintings. The views are simply splendid with white-topped mountains, lush fields of wheat, plateaus, valleys, vineyards, olive groves and, finally, the sea. The coastal town of Muggia near Trieste is the only Italian port town in Istria. The town’s architecture is marked by Venetian and Austrian history, while its harbour hosts a modern 500-berth marina. Muggia shows many traces of its Venetian tradition and origin, as demonstrated by the dialect, gastronomic tradition, Venetian Gothic style of architecture, and mostly by the main square, which is a true Venetian “campiello”. 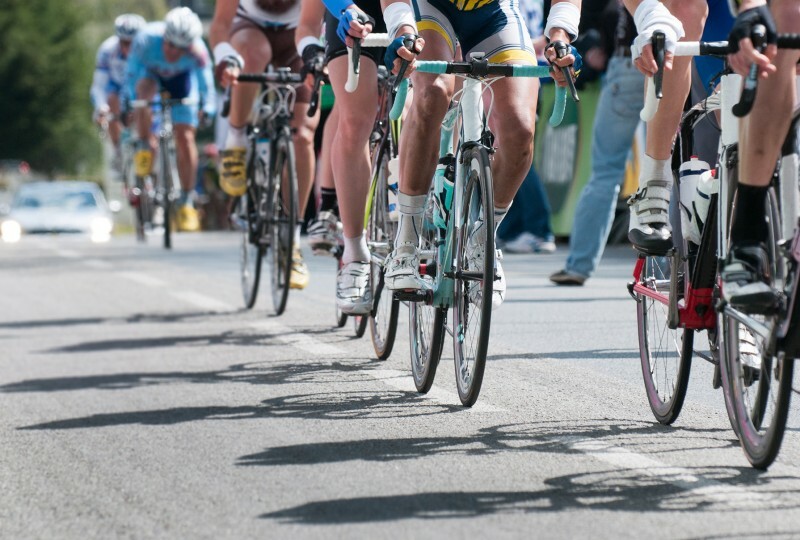 Soon after Muggia, the tour enters Slovenia, approaching the city of Koper, which is situated along the country’s 47-kilometre coastline, in the Istrian Region. From there, it follows the Parenzana railway track, a now defunct narrow gauge railway that was in operation from 1902 to 1935 and used to connect Trieste and Poreč. 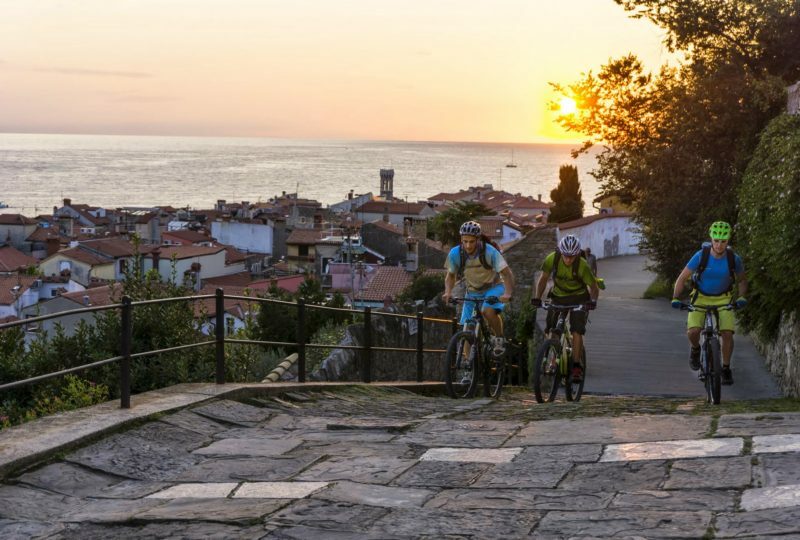 Following the trail and passing through some tunnels on the way, the tour finally reaches the city of Piran, which, according to Lonely Planet, is a small slice of Venice in Slovenia, sitting pretty at the tip of a narrow peninsula, on the Slovenian coast. Its Old Town, which is one of the best-preserved historical towns anywhere on the Adriatic, is a gem of the Venetian Gothic architecture. The biking tour ends here. It is hard not to fall in love with Piran’s atmospheric winding alleyways, sunsets and restaurants. Make sure you do not leave without trying the delicious seafood and taking a dip in the sea. A return to Ljubljana is organised after breakfast, where the tour is brought to an end. 15 May - 1 June GUIDED, SELF-GUIDED GUARANTEED! 14 - 21 September GUIDED, SELF-GUIDED GUARANTEED! The adventure starts and ends in Ljubljana, the capital of Slovenia. • One guided group can include a maximum of 7 people. • Every evening a briefing session is organised, where the guide(s) reveal details about the next day’s tour, including the altitude, length, difficulty etc. • The meeting instructions and final trip arrangements are sent to participants two weeks before the tour start date. • The tour is suitable for e-bikers.